FCI Haryana Watchman Admit Card 2019: Exam Date Kab Aayegi fciharapply.com? You are Here: Home >> Govt Exam >> FCI Haryana Watchman Admit Card 2019 » FCI HR Chowkidar Exam Date Kab Aayegi? All the websites are showing FCI Haryana Watchman Admit Card 2019 will be released soon but no one has a fixed date for it. Even the examination date for this recruitment is not yet clear on www.fciharapply.com. Candidates are in hope that fci.gov.in authority will conduct this exam maybe in 2019. But for its date, they have a big question mark yet. Team AdmitCardIND.IN is trying to get to the bottom of FCI Haryana Admit Card / Roll No Date since a long time now. Every other day, the FCI Haryana Official Website is kept checking by FCI candidates so that they get some information on FCI Haryana Watchman Exam Date 2019. It becomes really hard to deal with this anxiety. So, we are totally in favour of candidates this time. Exam Date & Admit Card Latest: Candidates dealing with a lot of disappointment as after submitting their applications, they don’t have an accurate date regarding the examination and FCI Haryana Watchman Admit Card 2019. On the other side, Punjab Watchman Vacancies are also withdrawn by FCI Punjab officials. Each one of the websites is showing the old stuff which is making them feel annoying because the clear schedule to appear in the exam is not yet available. Everything should be on the right track if they can secure the admit card for watchman vacancy. एफसीआई हरियाणा के उम्मीदवार बहुत निराश हैं क्योंकि हरियाणा सरकार ने एफसीआई हरियाणा वॉचमैन परीक्षा तिथि जारी नहीं की है। यह भर्ती 2017 वर्ष में घोषित की गई थी। और यह 2019 है और अभी भी वे इस चौकीदार भर्ती के लिए लिखित / शारीरिक परीक्षा की तारीखों को नहीं जानते हैं। उम्मीदवारों के समय की बर्बादी के लिए कौन जिम्मेदार होगा? भारतीय खाद्य निगम / हरियाणा सरकार? उम्मीदवारों को उनके सवालों के जवाब की आवश्यकता है। उम्मीदवारों को समझने और उनकी समस्या के समाधान के लिए कौन आगे आएगा? Note that, For the Manning posts in Food Corp’s depots and offices in Haryana Region, there are 380 vacant seats, to be filled as soon as the written, physical examinations get over. In the first stage which is an offline (OMR) type test, candidates will have to come down at one of the allocated test venues viz: Ambala, Bhiwani, Chandigarh, Faridabad, Gurugram, Hissar, Kaithal, Karnal, Kurukshetra, Panchkula, Panipat, Rewari, Sirsa. One and only mode of registration i.e. online had been ended on 04 December 2017. Eligible applicants submitted their applications for the released Watchmen or Chowkidars or Security Guards Posts. 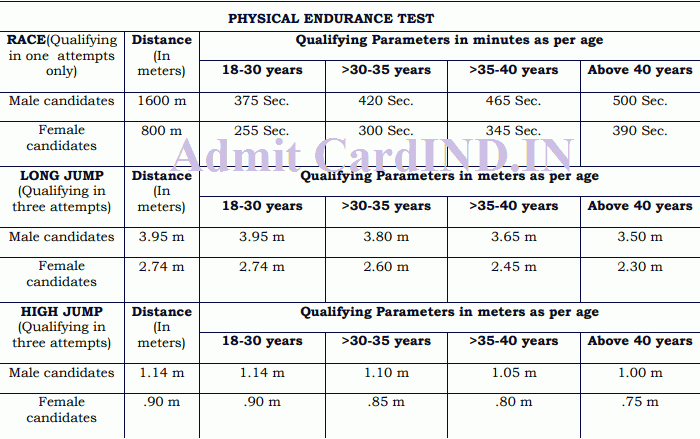 Mentioning about the FCI Haryana (HR) Watchman Admit Card 2019, it is supposed to be available just a few days (approximate 15 days) ahead of the proclaimed exam date. Hence, it is required that each one of you pay attention to the forthcoming updates and notices of F.C.I. When the admit card aka hall ticket goes live, an applicant shall be able to take a hold of it by providing his/her registration number, password or date of birth in the required section of the login screen. Apart from the above-said updates, aspirants will get to know the general instructions of examinations through the admit card of HR FCI. Rest of the information like FCI Exam Schedule of Watchmen, Reporting time, Location of Center would be accessible from the same document. Now to talk about the syllabus & exam pattern of written test which will play an important role in the candidate’s preparation. For those who don’t know what they should study about, following is the tabular representation of helpful topics. Number of Marks will be all just equal to the Number of MCQs (Each Question= 1Mark). The question paper will not be set in any other language except English & Hindi. Duration & Time allotted to the examinees should be 02 Hours (120 minutes). And the best part, there is no deduction or negative marking for the wrong answers. Now is the time to secure the syllabus here. FCI Haryana Watchman Admit Card 2019 | FCI HR Exam Date? Just a few days have gone when the recruiter means Haryana FCI had announced to hire new watchmen for the security of Food Supply Management. Qualification for the said post has been demanded as low as VIII class (Middle-Class) Passed. It’s around a month time for interested Job Applicants to go through the application process and get a confirmed ticket for the written examination, going to be held shortly in the next few weeks (as expected). Hello, Mr. Sharma. Please refer only the official notice. The link is mentioned in the above post. It should be 1600 Mtrs for FCI HR. Admit card kab download Hoga sir Ji. Hello sir Fci exam kab plz date upload Kar dena? Yes because admit cards have not been released yet. When to release fci admit card. Any info. Plz confirm? Exam kb Hoga andadmit card kki bhi thodi information hume btaayi jayein? Sir haryana aale fci ke admit card kab aavenge? plz, message/sms me the exam date on my cell phone number. Kab take aayega admit card Ji..
After 15 days, you can expect. sir, fci advt.no.01/2017 watchman ka admit card kab tak aayga.pleasse tell me. Haryana fci admit card kab ayegea sir? Fci Haryana kab roll no ayaga bta do. Pata hai konsi date ko admit card date aana hai? please take some action so that we can give exam asap. Sir when will HR FCI Release the admit card? Keep patience, Mr. Saini. We understand your concern but the officials haven’t even disclosed the exam date yet. So, you’ve to wait for the admit card release until the exam date is not confirmed. Sir when will hr admit card show on your website, please tell me. When admit cards are going to be released other states already filled the posts?